‘Tis the season to eat crawlies! Ameritex Movers Houston love the spicy tasty mud bugs and as your Houston Movers we enjoy a good crawfish boil. Getting together to eat crawfish is no longer just a tradition in Louisiana. It has now become a yearly tradition with crawfish festivals of all sorts all around Texas. So, if you are planning a party or get together for your family and friends, a crawfish boil is a great way to make sure the party is a success. 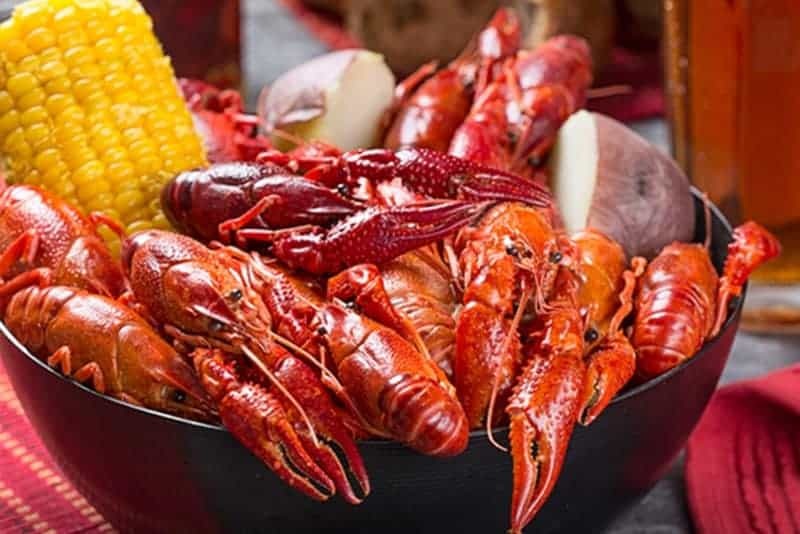 The smell of a crawfish boil and Cajun seasonings will entice your guests, so make sure you order enough crawfish to feed everyone. Ameritex Movers Houston: Crawfish Experts, Too! One of the most common questions we hear at a Crawfish Boil is “how many pounds should I order?” A good guideline for any crawfish boil is three pounds per person. However, it is important to take your guests into consideration when you place an order. For example, if your guests are big eaters, you may want to order five pounds for those individuals. If your invitation list consists of some get out of our way “I’m hangry,” Louisiana Cajuns who enjoy, love, and practice the are art of the peel usually they can eat up to 7-10 pounds each, so you may need to take out a small loan if you’re having a big boil, “sarcasm.” The most important thing to remember is it’s all about having fun and eating great food, and combining your live crawfish with potatoes, corn and possibly a few sprinkles of some large jumbo shrimp while providing other delicious Cajun seasoned treats that will make any crawfish boil a success! Ameritex Houston Movers calculates that at least three pounds per team member times 40 pounds; that 120 pounds would be sufficient for and Ameritex Crawfish Boil Party, but keep in mind if you order too much, they are just as delicious cold the next day so they can be stored in your fridge or in an Igloo ice chest with ice. After a boil one of the best things to do is to peel the leftovers and make crawfish soup with the leftover potatoes, corn and crawfish. It’s so easy and delicious, or another suggestion is to make some gumbo with the leftover tails! Top 5 places to eat crawfish in Houston: Crawfish & Noodles, Wild Cajun, LA Crawfish, Bayou City Seafood, and The Deck on Fountainview. Enjoy . . . ’tis the season!